Hey Now! 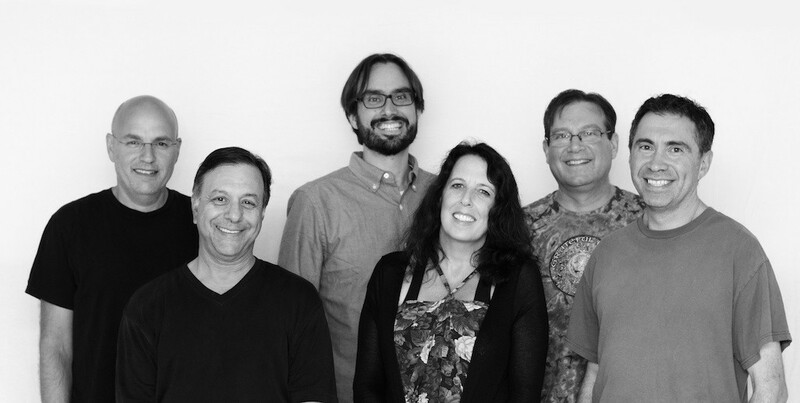 Welcome to the online studio of DeadBeat, a jam band that brings alive the sound and style of the Grateful Dead, The Jerry Garcia Band & all of the music that Dead Heads love to hear! 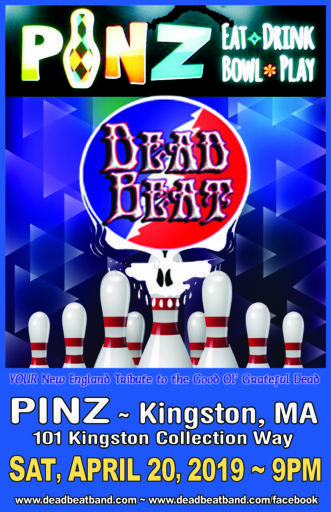 Performing in Greater Boston, Metro West and Southern New Hampshire since 2005, Deadbeat delivers an upbeat vibe that will keep you on your feet and dancing all night! DeadBeat is 6 pieces (Drums, Bass, Keyboards, Rhythm Guitar, Lead Guitar & Vocalist) consisting of seasoned musicians each with 3+ decades of experience & with national and international gigging and recording credentials. We have a groovin’ dance vibe with a rock edge and feature strong 3 part vocal harmony and instrumental soloists. 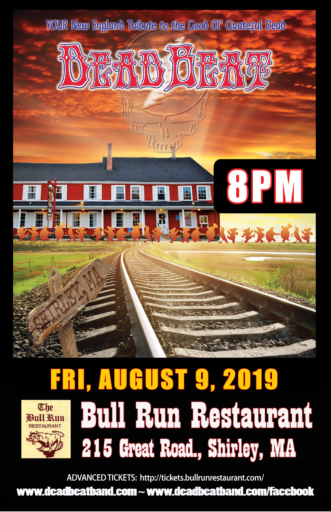 We perform the original music of the Grateful Dead and it’s family of bands, as well as music as covered by those groups. 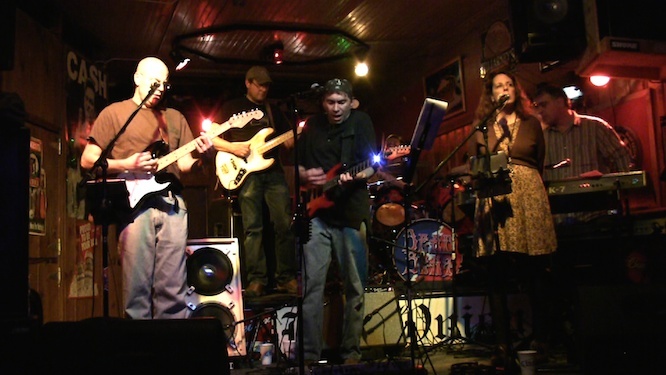 The band was formed in 2005 when drummer Joe Pulitano answered a Craig’s List ad and joined former members of the Tinmen Brian Stormwind & Gary Barth to form a new band that focused on their mutual love of the music of The Grateful Dead and the Jam Band sound and experience. The newly formed DeadBeat played their first gig in late 2005. Feeling that the lineup worked well, they took early 2006 to focus on developing their sound, learning and growing together, and working towards their expressed goal of being a “live” act and fulfill their desire to share their music by playing out as much as possible. By the fall of 2006 the band had jelled, and regular gigging followed. The rest, as they say, is history. DeadBeat continues today, bringing the music of the Dead to life with with their love and passion for the Dead vibe and the jam band sound. The current lineup is rounded out with bassist, Mike “Bails” Bailey, vocalist Jenna Markard & keyboardist Rich Cessarini. to the community by performing pro bono at selected charity events. We have supported cancer research at the Dana Farber Cancer Institute, My School, a non-profit cooperative preschool in Littleton, MA and the The Himalayan Education Foundation.